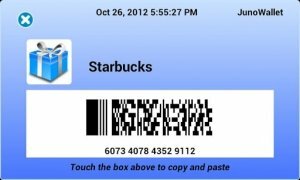 Can you imagine being rewarded with money for gift cards by watching videos or following users on social networks? Well, it's now possible by downloading JunoWallet for Android. 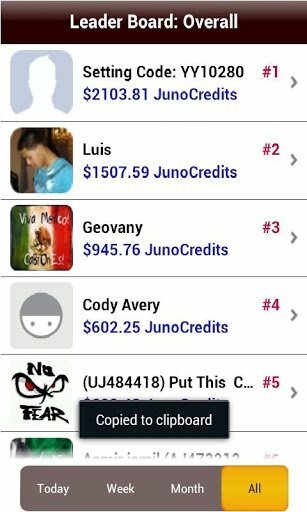 After downloading JunoWallet and registering as a user on the application, you're going to be rewarded with credits by carrying out simple tasks. There are different ways of earning them, such as inviting contacts to use it, downloading applications, following users on Facebook or Twitter or watching videos, for instance. 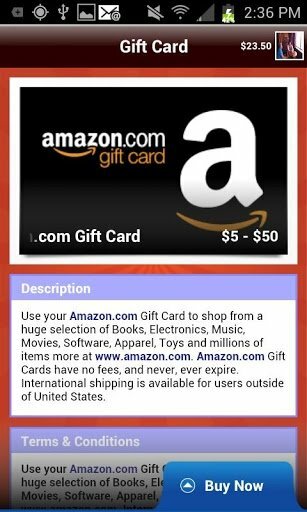 With the points or JunoCredits gathered you can purchase gift cards to buy on Amazon, Google Play, iTunes, Nike or eBay, among many other options. Different ways of increasing your amount of credits. 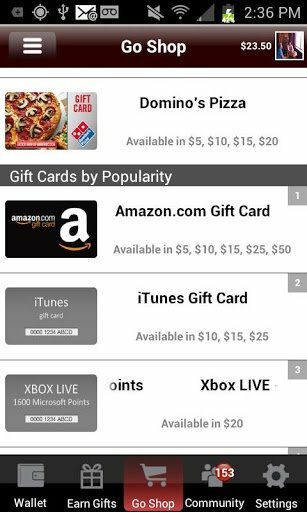 Points exchangeable for gift cards valid for top brands. 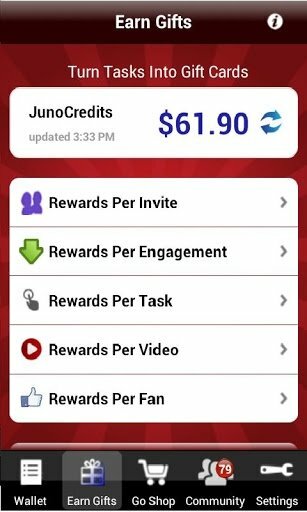 Download JunoWallet and make the most of your mobile phone.